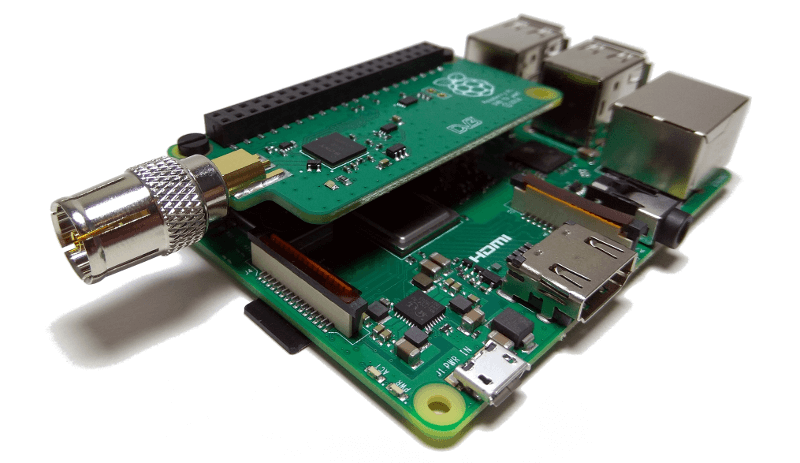 Raspberry Pi has just announced the release of the new TV HAT. This Zero-sized board will enable you to receive a DVB (digital) television signal on your Pi and then view it or stream it to other devices on your network. It’s a nicely put-together board and is also the first to be in the new form factor, which re-defines the size and shape of HATs. There seems to be some confusion over whether it’s called a uHAT (micro-HAT) or just a HAT, though! You’ll need at least a Pi 2 to view programmes on the Pi (as it’s quite processor intensive) but a Zero will do for streaming. The board retails for £20 and you’ll need an antenna and co-axial cable to connect it up. You can buy the board over at The Pi Hut or from ModMyPi. There’s a great tutorial over at The Pi Hut on how to use the board and another from ModMyPi here. ← Formula Pi 2018 – the finals of this Raspberry Pi-powered autonomous robot competition are tonight! Now if there were only something worth watching. I’m old enough to remember the great documentaries made when David Attenborough was controller for BBC2: “Ascent of Man”, “Civilisation”, “America”, then later his own documentaries, particularly “Life on Earth”. Everything broadcast now has a political bent – it’s so bad now that I limit my viewing to non-broadcast and save the licence fee.